The trust you place in those who care for your family while they need special care and attention often comes only after a great deal of research and time has been put into learning all you can about the facility that will care for your loved one. Unfortunately, this trust is often betrayed as caregivers and nursing homes fail to meet the reasonable standards of care for their industry. If your loved one has been abused in a nursing home, there is help available for you to get the compensation your loved ones deserve. Reinan Law is a nursing home abuse law firm and our experienced Colorado nursing home abuse and neglect lawyers dedicate themselves to getting you and your loved ones the justice they deserve. When you think of nursing home abuse, it is often the worst examples that come to mind. A caregiver that hurts someone in their care, or even sexually abuses those who are too weak or ill to defend themselves. Such terrible things occur far too often in the places where the elderly or ill should expect to be cared for and protected. Nevertheless, other forms of abuse are far more prevalent and may easily escape recognition as abuse. 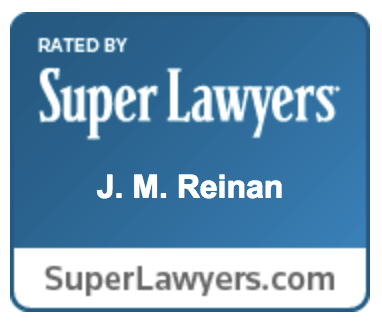 Reinan Law is your #1 Nursing Home Lawyer in Colorado. If you or a loved one has been abused, neglected, or experienced a wrongful death at a nursing home, give us a call today. Not sure if what you or a loved one experienced qualifies as abuse? Call us today and our experienced nursing home lawyers in Colorado will help you to understand how the law works, what we can do for you, and how to get started. You have a right to expect that your loved one will never be subjected to these or any other forms of abuse and as one of the top nursing home abuse law firms, we will make sure you get justice. Sometimes called slander or libel. Attorneys are required to practice with certain standards. 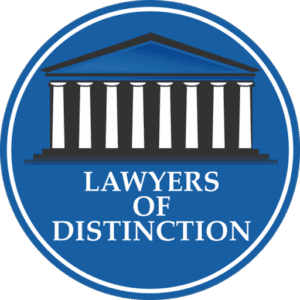 The Wall Street Journal reports that trial lawyers are a dying breed, estimating that 97% of cases settle before trial, and fewer and fewer personal injury lawyers have any meaningful trial experience. Insurance companies know who your lawyer is and what your lawyer is willing to do for you. "Incredible team of attorneys serving as resident advocates in nursing home settings. My husband was dumped in the back of a van in the middle of the night. It was 12/30 the day before New Years Eve, they gave me less than 2 hours notice even though I had visited him daily. He was sent 6 hours away, confused and delirious, to a geriatric psych center where he did not belong. After detailed discovery for 20 months, and the day before trial, opposition settled. Reinan Law firm is the Voice for those who cannot speak for themselves." The Colorado nursing home lawyers of J.M. Reinan, P.C., have been fighting to protect the elderly from abuse in nursing homes for almost 20 years. Our attorneys have the experience to successfully get your loved one the compensation they deserve after their abuse — compensation that may be needed to pay for medical bills or find another nursing home as a result of their abuse. Our attorneys care about defending the most vulnerable of our citizens and will help you through a system that often seems stacked against the average person. Call Reinan Law, your 1st choice for a nursing home abuse law firm, and let us help you protect your loved one. We understand that this can be a difficult time for both you and your family and our Colorado nursing home lawyers want to ensure that you get the care and service that you deserve throughout your case. We will work with you to understand every facet of the case to make sure you get exactly what you deserve.